Talk about a needle in a haystack! There are literally billions of pages on the internet, and if your website’s content is deemed irrelevant by search engines, it’ll be as lost as a skipper on a 3-hour tour. That’s where SEO comes in. 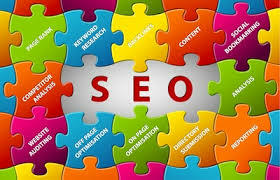 Search engine optimization is one of the most important tools you have of getting your website’s page ranking as high up on search engines as possible. And if you’re not keeping up with the latest SEO trends, you might as well close up shop. Some trends from last year are still going strong this year, and SEO experts are still recommending them to boost page views. Here are some of the hottest SEO trends and predictions for fall 2014. If you’re a web writer, you want your content to be read by as many people as possible. Google knows this, and so they created ‘Google Authorship.’ Google Authorship links all your content to you as the author, with your photo right next to it. When Google links you to more web content, the more credibility Google’s search engines give you. And pretty soon your content, showcasing your photo, is getting pushed further and further up the page rankings. Google created its authorship program to do just that … give good web writers a better chance to be seen, read, and respected. Google Authorship gives writers credibility, and it gets their content higher page rankings in Google’s search engines. According to Media Shift, blogs with Google Authorship are increasing their traffic by up to 50 percent. This trend is hot and getting even hotter. If you want to maximize traffic to your content by fall 2014, Google Authorship is the way to do it. Trends for fall 2014 are moving toward more discussion of quality content along with SEO. In fact, some are likening it to search engine optimization. As competition heats up, the quality of content … not just key words … is getting recognized more than ever. It’s not enough anymore to just write as much content as possible with as many key words in order to get your pages ranked high in the search engines. After all, in this age of digital marketing, everybody’s writing content and everybody’s using key words. What’s getting noticed is solid, engaging content that speaks to your target audience. With Google’s ever-changing algorithms, key word stuffing just doesn’t work, and duplicate content is a surefire way to get your page views down. Strong digital marketing strategies with an eye toward excellent content are the trends for fall and beyond. In the content marketing game, enduring relevance, good quality, and expert advice are key. Streamlined social media, content marketing, and solid digital marketing strategies are more important than ever. Social media is a hot trend, and it’s getting hotter. This fall and beyond social media will play a huge role in page rankings, dissemination of content, and referral traffic. Like it or not, Facebook is still out in front, and if you’re not on it, you better get on it. Facebook’s referral traffic is still outranking its competitors. GooglePlus is moving up the ranks quickly. Pinterest, Twitter, Instagram, and Tumblr are huge, and LinkedIn is a major force among professionals. As brands are understanding the importance of social media more now than ever, a marketing strategy that doesn’t include social media is headed for failure. And as SEO and social media sync up, a top SEO trend for this fall is to utilize every hot social media platform as a means of getting your brand noticed. As competition gets more fierce, digital marketing strategies that integrate a number of SEO services are a hot trend heading into fall. Everybody’s using content marketing to boost their visibility. For this reason, broader SEO services are being utilized by more companies. With the increase in competition, SEO experts now need a wide range of skills to tackle anything that comes along. Good SEO now requires professionals with technical skills and expertise. SEO experts now have to be serious in-house contenders who can manage projects, troubleshoot, hire and develop teams, and coordinate responsibilities in order to create top-notch sites that drive traffic and bring in customers. Feedback has always been one of the most important aspects of the success of any business. Sadly, it can get overlooked for many reasons. Fear of hearing the truth, arrogance, or just plain bad business strategies often get in the way of growing a business because owners don’t listen to their customers. As competition heats to a boiling point, one of the single hottest trends for fall is the customer review. If your customers voice their love of your product, you need to let them know you recognize their appreciation. Have them review your business on Google. As Google gives more weight to websites with customer testimonials, their search engines attach more credibility to your site. Strong digital marketing strategies that incorporate excellent, informative content are essential in business today and well into the future. Top SEO trends that include Google authorship, solid content marketing that partners with the hottest social media sites, customer reviews, and comprehensive SEO services performed by SEO experts … these are the best means of success in fall 2014 and beyond.